and reported a Radium Emanation. a radioactive gas, Actinium Emanation. and suggested naming it niton. of the radioactive noble gas radon. 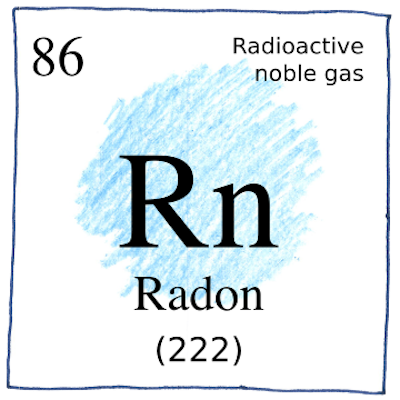 Radon is the mosquito of the periodic table. and it’s not good for you. Radium Emanation was radon-222, also called exradio, radeon, niton, and radon. Thorium Emanation was radon-220, also called exthorio, thoreon, and thoron. Actinium Emanation was radon-219, also called exactinio, actineon, akton, and actinon.